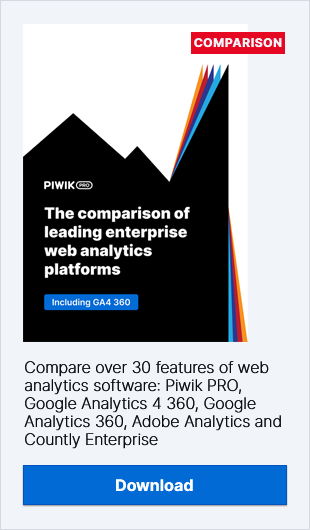 Web Analytics Suite: Off-The-Shelf vs. Build-Your-Own? Until quite recently the world of web analytics relied heavily on off-the-shelf solutions. Ready to implement and deploy, such tools provide a convenient method of measuring your online business. However, the trend in the industry is slowly moving towards building custom platforms. So it seems like we’re experiencing a faceoff between the off-the-shelf and build-your-own models. Increased interest in creating in-house tools stems from changes in customer behaviour and technology advancements, which are both leading to a greater than ever need for customisation. Intuitively it would appear at first glance that the build-your-own approach may not be for everyone. Yet more and more companies seem to be ready to abandon the convenience of ready-made solutions and are moving towards bespoke self-service analytics. During the DA Hub discussion panel led by Tom Bett of Financial Times the key takeaways were that over the last few years the analytics industry has been gradually picking this topic up, and in 2016 the discussion has reached a tipping point. That’s why in this post we will focus on presenting business cases for renting vs. building an analytics stack. So if you’re at the consideration stage or just about to start the procurement process, this discussion should help you organise your thoughts and ideas on the off-the-shelf vs. build-your-own question. We will also suggest some steps that can be taken when trying to marry these two distinct approaches. Read on! Why Build Your Own If There Is Already a Plethora of Off-The-Shelf Solutions? The multitude of enterprise analytics solutions is both a blessing and a curse, as finding the right tool can be a long and tedious process. However, chances are that if you follow our 4-step approach outlined in this presentation, you will succeed in identifying a tool that responds to your business requirements and conditions. But it can also occur that, no matter how robust, at some point your organisation outgrows its existing off-the-shelf platform. What used to be “good enough” may one day become insufficient if your company matures from the analytics and marketing standpoint. So if your business calls for a far more specialised tool than what’s on the market, you may want to consider creating your own platform from scratch. There are several reasons why you should be interested in building your own analytics tool. Another benefit of this approach is data and software ownership. While small businesses might not worry too much about exercising full control over their data or tools, this is one of key issues for medium to large enterprises that rely on various forms of information processing. Depending on the type of tool and its terms of service, you may not be allowed to upload certain types of data. There will be no such restrictions when developing your own solution. Additionally, you won’t be reliant on your vendor in terms of the platform’s custom algorithms, features and integrations. Not to mention that the roadmap of such a tool can be directly tied to the growth direction of the company. So there’s no more need to put up with limited customization possibilities as you can tailor your tool to be exactly the way you need it. That also means you can implement all the privacy settings necessary to comply with your organization’s internal standards as well as external legal requirements. If achieving full data privacy compliance is problematic when using an off-the-shelf tool, in the case of a build-your-own platform you are the one who calls the shots. Having such flexibility can be particularly important in light of the forthcoming European regulations, with fines for data breaches and noncompliance reaching as much as € 20 million or 4% of annual turnover. While off-the-shelf solutions are mainly delivered over the cloud, your custom platform can be both fully functional and self-hosted. This can help you overcome problems like the negative impact adblocking software may have on data accuracy. It is rather unlikely that a custom tracker will be blocked. Using on-premises tools also means that you get access to unsampled data in whatever format you require for further processing. Without vendor restrictions on the amount of data that can be tracked, your custom platform is free from the automatic sampling that occurs in many off-the-shelf tools when you reach certain traffic limits. You can enjoy reports based on full data at all times. When Can Build-Your-Own Be Too Much of a Challenge? As useful and beneficial as the build-your-own approach may be, it is far from perfect. The relatively high upfront costs and investment required to develop such tools make it rather unaffordable for average web analytics users. Acquiring the technology and expertise necessary to develop such a tool can be quite an expense proposition. Rolling out and developing a platform is one thing, but ongoing maintenance and operation also involves costs. This approach should therefore only be considered by organizations mature enough from an analytics standpoint to make proper use of the solution. Otherwise you might just be flushing money down the toilet, and you surely have better ways to spend it, right? Once in place, a custom tool can have a steep learning curve for your in-house team and may lead to a need for organizational change. With an off-the-shelf solution you receive immediate access to a range of fully-developed features and options together with support and resources. In the case of a build-your-own tool you will need to be far more independent and self-sufficient. And to be honest, simple data access – static reports or drill downs – may be much harder and less user-friendly, at least in the initial phase of implementing your in-house custom tool, not to mention issues surrounding data discrepancies between your existing tools and the newly created platform. Reconciliation of numbers may be difficult, and getting exactly the same results could be almost impossible. Another thing that’s worth mentioning is the need for continuous business engagement and commercial support to avoid detachment. So while build-you-own-tool might seem like a technology project for those with technological savvy, ongoing business engagement is of equal if not greater importance. What you really want to avoid is rushing into creating your platform and then losing commercial support when you need to make some difficult decisions. It may seem wiser to build your own tool instead of renting one. Why pay for something that you can own? Why rent a tool that isn’t even customizable to your particular business needs? It may be also comforting to hear that in the case of your own platform, the costs of scaling up mainly consist of additional infrastructure expenditures. Although in some cases a build-your-own project like this might produce cost savings, they may be smaller than you think. We have heard some chilling stories of businesses that rushed to cancel the licences on their analytics tools and thus suffered from data loss and latency. That’s why we recommend that you avoid rushing into rolling out your own tool for mere cost considerations. Instead of a Conclusion: Looking for a Third Way? The build-your-own approach makes it easier to adjust the tool to your particular business needs, as well as to troubleshoot data accuracy and privacy issues. Off-the-shelf tools give you immediate access to features and support, albeit rather generic. So which approach is better for your organization? Trying to marry off-the-shelf and build-your-own? Is your company really so mature that it needs a significantly more advanced analytics tool? Can any other off-the-shelf solution cater to your particular requirements? Will your company be able to ensure commercial support for the whole process along with ongoing maintenance? Can you name any particular business reason or specific focus your project would benefit from that you can’t achieve with your traditional tools? Still not sure what’s best for you? Maybe this is a sign that you need to look for a third way, a compromise between the two approaches. A great starting point is to check out existing open-source analytics projects, since they can get you headed down the path of building a fully customised enterprise-level platform. Using open-source tools removes the pain of building everything from scratch on your own, not to mention that data privacy and ownership are included by default. Plus there are Piwik PRO expert team that can help you tailor the tools to your precise business needs. Don’t rush into canceling any of the licences on your existing tools. It’s also worthwhile to run a proof of concept for a new platform alongside the legacy one. This usually comes at a price, but it will give you invaluable information about the tool and how it can be adapted to your organizational needs. In the course of having the POC implemented, you can also get a better picture of how the vendor or engineering team you hire works, gauge their responsivity and overall competence, etc. It’s a great moment to understand and observe how the new tool performs without taking the risk of a full-scale migration all at once. If you see that POC implementation delivers what your business needs and you’re satisfied with the overall results, then you can say you’ve found a way forward! Good luck!